1 Brown the oxtails: Pat dry oxtails with paper towels. Sprinkle oxtails all over with salt and pepper. Heat 1 tablespoon of olive oil on medium to medium high heat in a 6-quart Dutch oven. Working in batches, and not crowding the pan, sear the oxtails in hot pan on all sides until golden brown. Use tongs to remove oxtails to a plate, setting aside. 2 Sauté onions, carrots, celery: Add the chopped onion, carrot, and celery to the pan. Cook for a few minutes until onions are translucent. 3 Add oxtails, garlic, bay leaf, thyme, salt, stock, wine, then simmer: Add the oxtails back to the pan. Add the whole garlic cloves, the stock and wine. Add bay leaf, thyme, and half a teaspoon of salt. Bring to simmer. Reduce heat to low. Cover and cook for 3 hours, until meat is fork tender. 4 Roast root vegetables: One hour before the meat is done, heat oven to 350°F (175°C). Toss carrots, parsnips, and turnips in olive oil in a roasting pan. Sprinkle well with salt and pepper. Roast vegetables for 1 hour, or until lightly browned and cooked through. 5 Skim fat: When meat is tender, remove oxtails from the cooking liquid. Either skim the fat off the top with a spoon, use a fat separator to remove the fat, or chill the cooking liquid for several hours so that the fat solidifies, making it easier to remove. If you are making ahead, at this point you can just put the stew in the refrigerator (let come to room temp first), with the oxtails still in it, and let it chill over night. The next day, scrape off the fat, reheat and then remove the meat from the dish. 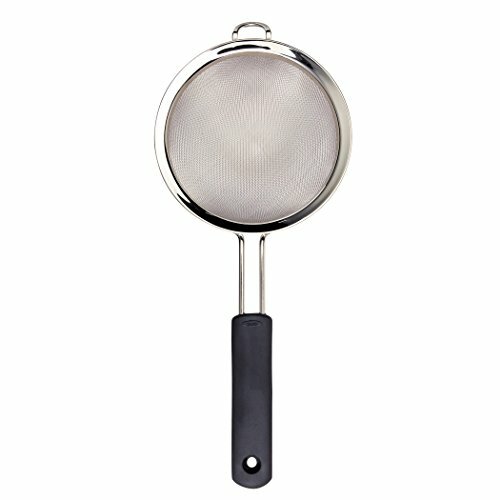 6 Strain solids from cooking liquid, reduce liquid: Pour the cooking liquid through a mesh strainer into a bowl, using a rubber spatula to press against the vegetable solids caught in the strainer. Discard the solids. Return the liquid to the pan and simmer until reduced by half. 7 Add back oxtails, roasted vegetables: Then add back in the oxtails, and add the roasted vegetables to the pan. Heat on low heat for half an hour for the flavors to meld. Add some chopped parsley before serving. Hello! All photos and content are copyright protected. Please do not use our photos without prior written permission. If you wish to republish this recipe, please rewrite the recipe in your own unique words and link back to Oxtail Stew on Simply Recipes. Thank you! I made this recipe, first time I’ve ever cooked Oxtail, but not the first time I’ve eaten it. This recipe is AMAZING! It was truly the best Oxtail dish I’ve ever had, and it wasn’t very difficult. I served the Oxtail stew over yellow rice, Jamaican style. As I write this, I’m doing it again for the second time. Can’t wait!!! I’ve not tried it yet but my oxtails are thawed, your reviewers have me hooked to try this recipe. It is the best beef stew I have ever had! Amazing recipe! Shannell: you asked if the wine was “cooking wine” or just wine. Here is a tip from an old Chef – If you wouldn’t enjoy drinking it, DONT USE IT!” As a Chef I hated when Managers or execs gave me cruddy wine thinking it made no difference! They wanted to pass off the losers to the kitchen! You mix in lousy tasting wine in the food and guess what? The dish tastes lousy. There are rare cases where true bottled ‘cooking wine’ may be called for, but it is usually salted (yuk! ), rather acidic and not palatable. Don’t waste money on true ‘cooking wine’, as we have darn good wines available at the supermarkets. Just st let your tongue guide you. Hahaha, thank you! It drives me insane seeing “cooking wine” in the aisle. What a ridiculous concept. :) How can you cook without tasting?! I served this to a group of friends who loved it! I substituted extra potatos for the rutabegas but otherwise made just as the recipe called for. My only comment would be to add less red wine the next time as that flavor was a little overwhelming. Otherwise this is excellent and I’ll make it again. Red wine? Is that cooking red wine or real red wine? Hi Shanell, only red wine that you like to drink should be used. So, use “real” red wine. In the old times we used to dust the bones with flour before roasting them in the pan so the stew was a bit thick. We served it with mash potatoes that fills you up as rice and veggies are so light on the meal and at least I get hungry sooner. I grew up in Singapore. Oxtail stew is thought to be an import from the Brits, who wanted their rich, hearty comfort foods even in the tropics. The Singaporean version tends to be more associated with the Eurasians (the descendants of European immigrants who migrated there), and as far as I know, it tends to have carrots and potatoes. My family served it over rice. It’s also picked up a lot of variations, and the style my mom cooked was a soy sauce broth with star anise and perhaps some other spices, but no tomatoes. I also just made this with gochujang (Korean red pepper paste) and soy sauce. My wife, a Minnesotan, refused to let me cook her oxtail stew in the summer. She had never heard of this dish before marrying me. I just cooked this tonight substituting potatoes and carrots with taro root and it was delicious! Taro cooks very quickly, so it was cooked in the liquid for about 20 minutes. I used a bit more onion than stated in the recipe and used water instead of stock. Thank you for the recipe! Mine didn’t turn out so hot. I followed the directions but after three plus hours, probably closer to four in the end, the oxtail wasn’t that tender. The last time I made oxtail the meat just fell off the bone, but this time it just didn’t seem nearly as tender. I thought maybe it was cooking it on the stove top instead of placing the dutch oven in the oven. Anyhow, unfortunately kind of disappointed with the results. But I’ll try again as I’m sure with a little more heat it’ll turn out next time. Hi Scott, sometimes meat is really tough and you just have to cook it longer (though not at a higher heat). If it is at a low simmer, the temperature is right. I once had to cook moose meat 8 hours to get it tender. yes…hours & hours…which i’m getting ready to do now…am dicing vegetables. oxtail stew in 100 degree weather>? hah. but i havent made it in years, & have been craving some…so oxtail stew for the company, it is! I’m from South Africa. Here we have oxtail all the time and we have been making it for generations. I’ve had the same problem with oxtail before that did not want to fall off the bone, even after hours off cooking. I noticed that the quality off the meat has a lot to do with that, the better the quality the softer the meat. Also check for packs with not a lot of small tail pieces as these always seem tougher. The nice big pieces with the bone in that looks more like a flower are much more tender than the smaller pieces with the straight bone. Hope this helps, rather pay more for better quality and you will see the difference in the end result. Oxtail needs 8 hours minimum in a slow cooker, on low. My husband threw me a curve while shopping for the stew ingredients today, he want to sub the oxtail with cubes of beef, do you think this recipe will work that way? If you make it with beef cubes, be sure to use chuck shoulder that is well marbled with fat. The recipe will then make a hearty beef stew. It won’t be an ox tail stew. Ox tail has its own unique flavour. no it certainly would NOT be oxtail stew…it would be beef stew! Well, I’m going to give this a try. I just purchased Oxtail for the first time in Calgary , Alberta. Beef country here and not inexpensive despite purchasing it from a local discount grocer. Luxury at 16.29 per kilo or 7.50 per lb. i made the ox tails like the recipe ..but iadded some guajillo chillis..mmmmm .the bomb..you have to hydrate them ..and put them in a bender..then add to your soup stock..
Elise this was so good, thanks for the post. First time to cook oxtails, did it in a pressure cooker. The leftovers were even better. Thank you! People were complaining about the price of the oxtails but never saying what they paid for them. I paid $5.99 a pound at Whole Foods in Minneapolis. BTW my mom used to cook brains, liver, tongue etc all the time growing up but we never had oxtail. I made this about a year ago for the first time, and let me say that it was amazing. It was the first time I had had oxtail, at all, and it’s true that when mom used to talk about it she got this wistful, happy face and I wanted to see what all the hubub was about. Needless to say I am like that now. I also learned that day that I disliked turnips, a lot, they’re from Satan I’m convinced of it-rubber bands batman! So, instead, I doubled the parsnips this time, added around a fourth of a daikon radish, and it came out heavenly. Use the best red wine you can afford. It adds a great depth of flavor to the meat. I’m making this again tomorrow and I can’t wait! This, Coq Au Vin, and many of my squash recipes make the Fall well worth waiting for! How can anyone go without trying this? The collagen that the marrow gives the broth is amazing, and the meat is just… divine. Even here in Texas most people look at me funny when I say I’m making oxtail and we love our beef! Shame it’s such a down and out cut, even today. Mmm, this sounds delicious. At the moment there’s a lot of kangaroo available cheaply (there’s a cull underway), I wonder how this would work with roo tail? It’d certainly be meatier, and probably in need of even longer, slower cooking…I will consult with my local butcher and report back if I try it. Oxtail is a bit hit and miss, it’s cheap when you can get it but you have to ask the butcher in advance (I suspect it goes home with them rather than being thrown out, and it’s the same story with lamb neck, which makes a divine ragu). I live in the USA, I don’t know ANYONE who has NOT heard of oxtails or short ribs! They are an AMERICAN standard! Especially, since most recipes for oxtails and shortribs (for Americans here for three generations or longer) originated in England and Germany. Oxtails are highly popular in the American southern & midwestern states. 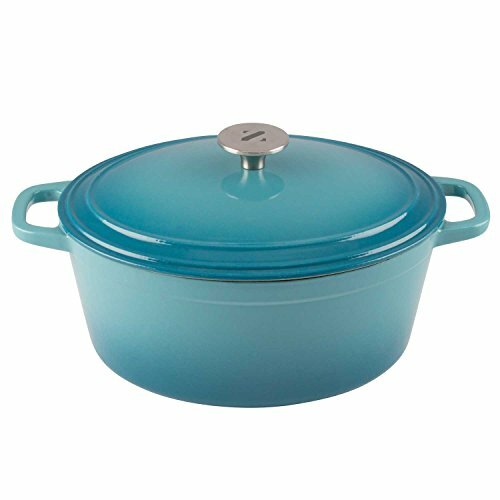 They are very popular for stews and soups. Some people cook them with a brown gravy or brown soup stock base or a tomato base gravy or soup stock. EVERYONE I KNOW grew up with oxtails or shortribs! I keep a pressure cooker skillet, so that anytime, my cravings for them can be satisfied in only 45 minutes! Life without oxtails or shortribs is no life at all! One tip, if you add 1 tsp of Allspice or Mace, it will give them a fuller bodied flavor, Browning Stew seasoning liquid (used sparingly or it will overpower the dish ; i.e., approx 2 Tblspns ), 1/3rd cup of molasses, 1/2 cup of soy sauce & a few hot peppers (seeds removed, 1 or 2 Knorr beef bouillon cubes, 1 green bell pepper (optional) onions, garlic of course. My grandmother used Allspice or Mace when cooking stews along with a small bit of Molasses paired with Worchestershire sauce (sweet balancing salt/savory flavors). You have to, experiment with these flavors to get them right, but once you do you will love it. Just a tiny bit of Allspice or Mace really gives beef a, “full bodied foundation,” but DO NOT much Allspice or Mace (1/2 tsp AT A TIME TO TASTE ! )(maximum 1 Tblspn ). Mexican cooking uses Cinnamon and/or Chocolate Powder when cooking beef, it really gives the beef a more, “solid,” flavor. Middle Eastern recipes also include Cinnamon in meats AND fish dishes. Old fashioned American kitchens used Allspice or Mace in most meat dishes. You rarely see recipes today including them, what a shame.